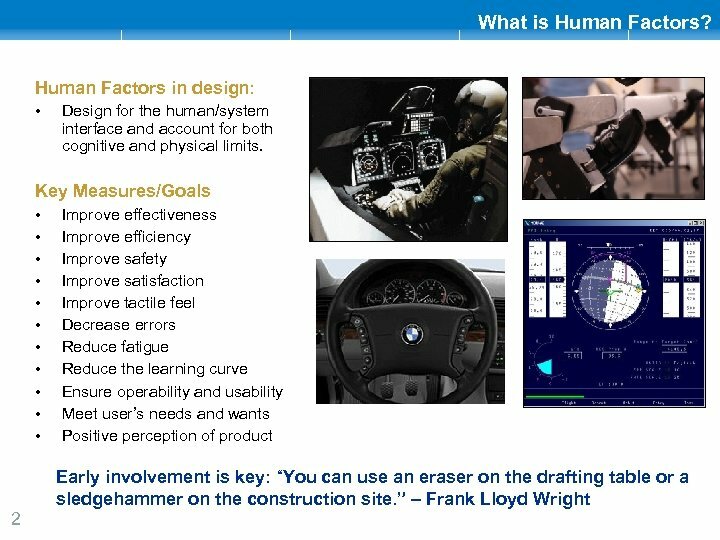 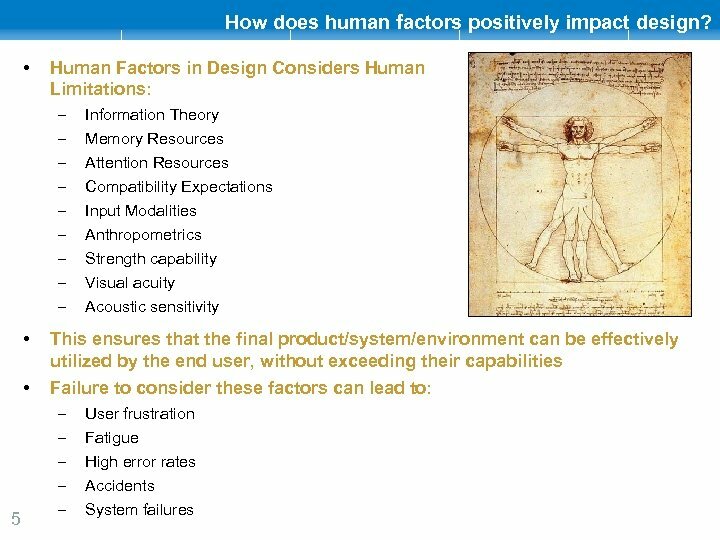 What is Human Factors? 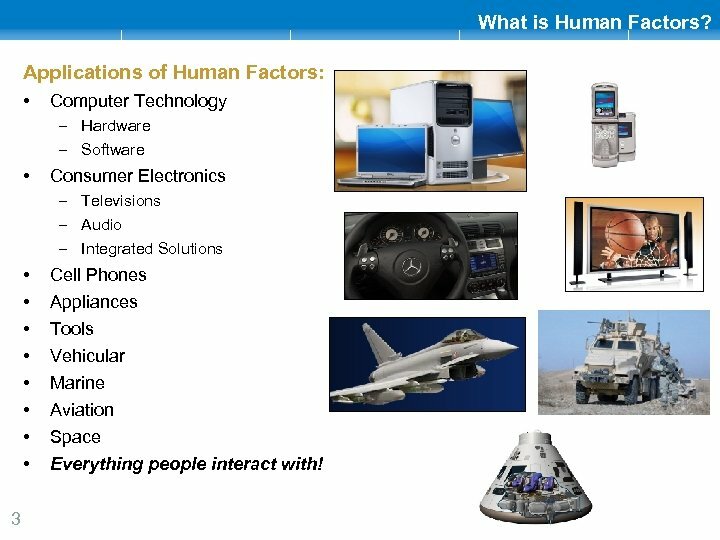 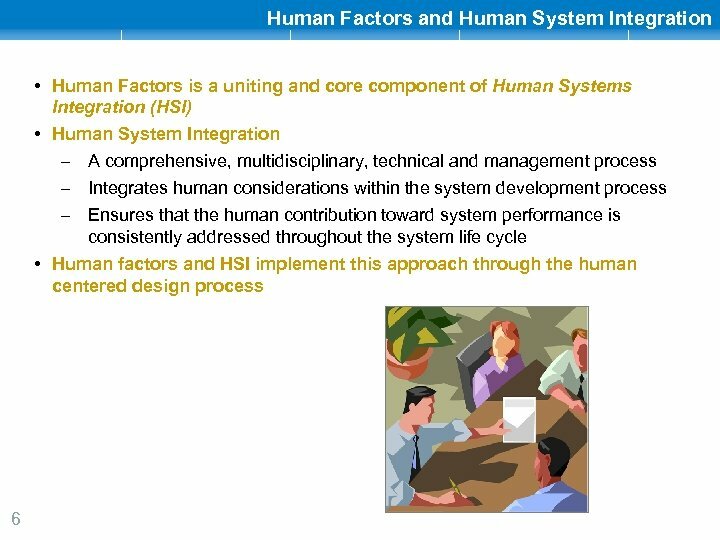 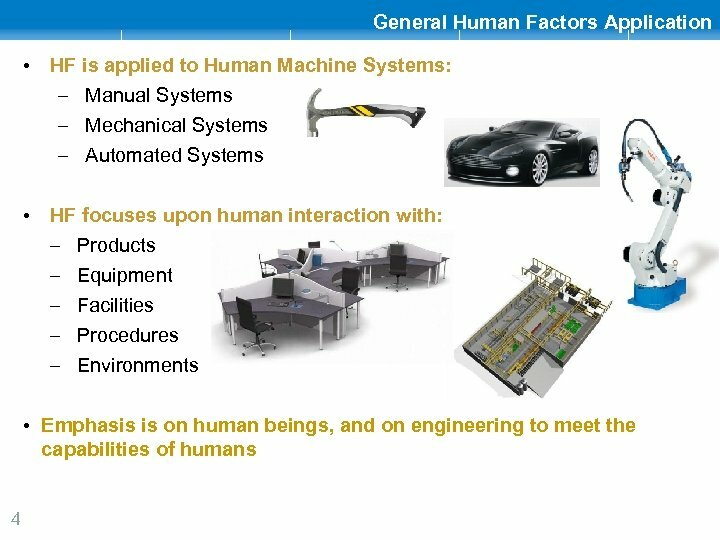 Applications of Human Factors: • Computer Technology – Hardware – Software • Consumer Electronics – Televisions – Audio – Integrated Solutions • • 3 Cell Phones Appliances Tools Vehicular Marine Aviation Space Everything people interact with! 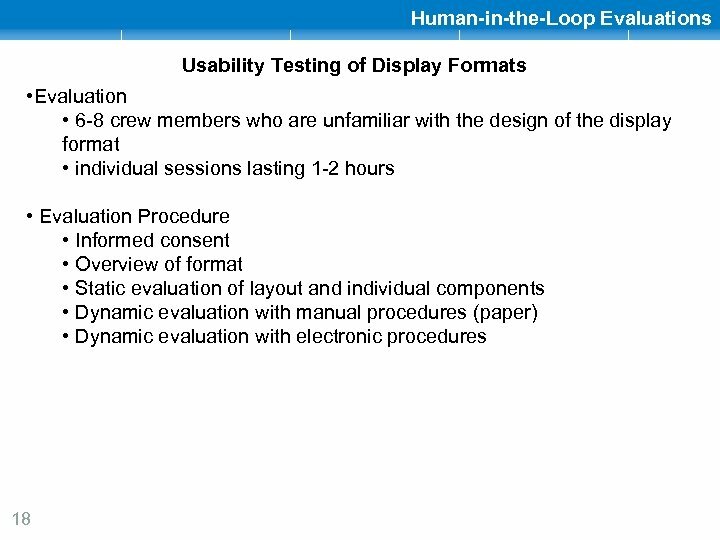 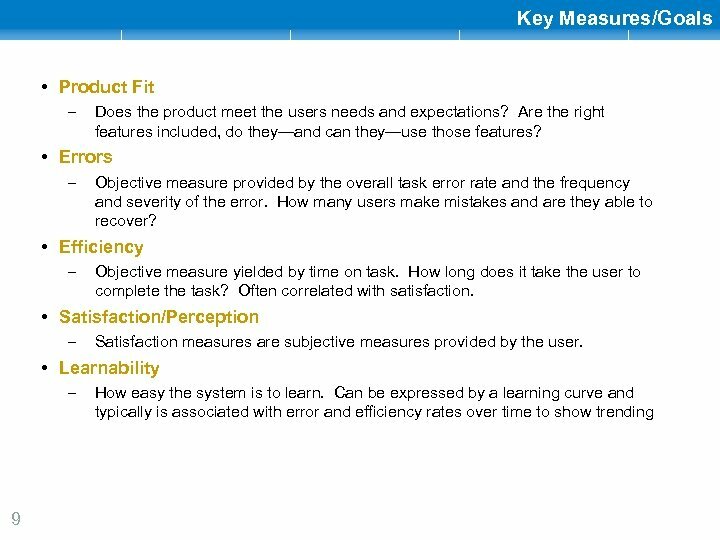 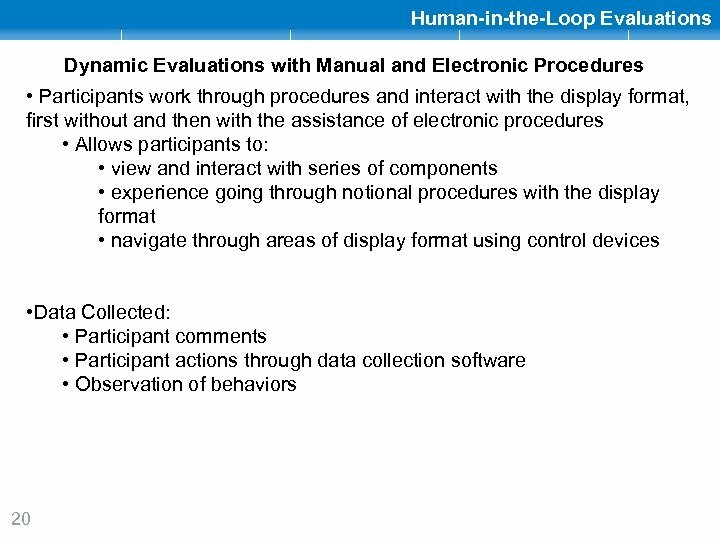 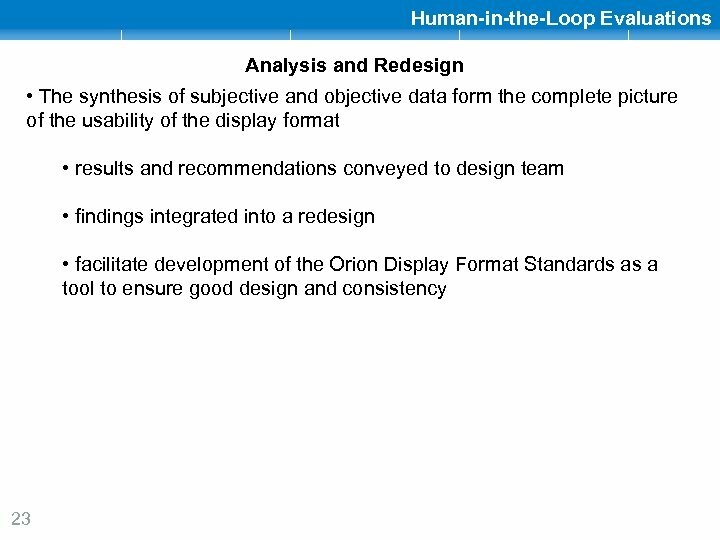 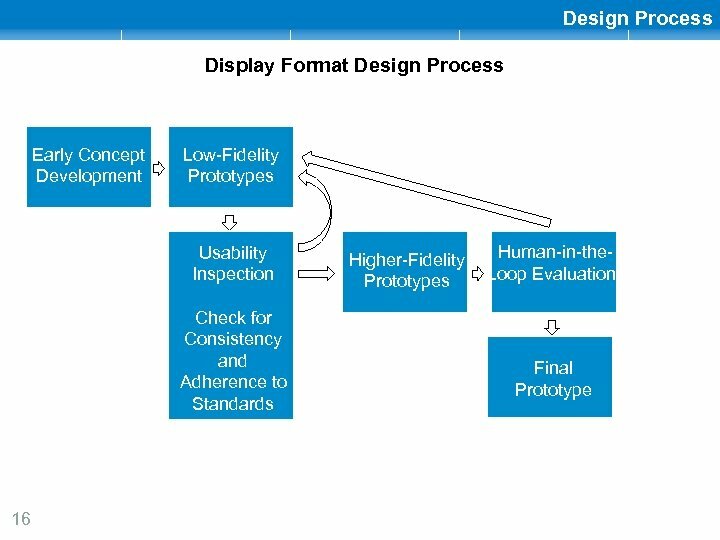 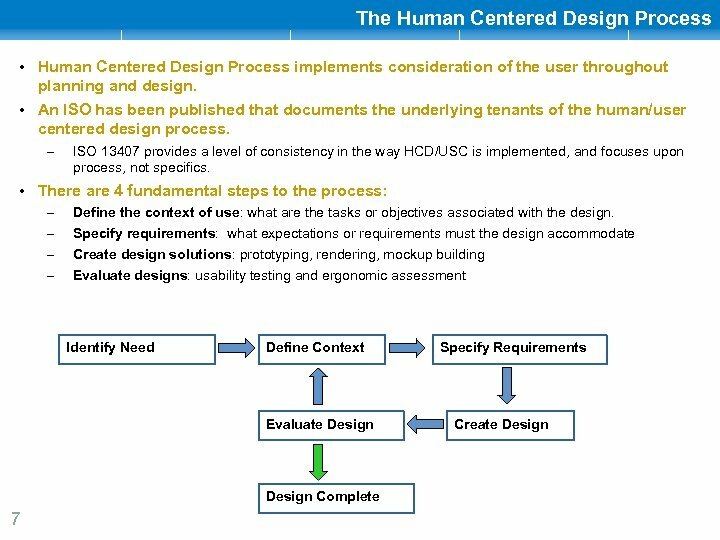 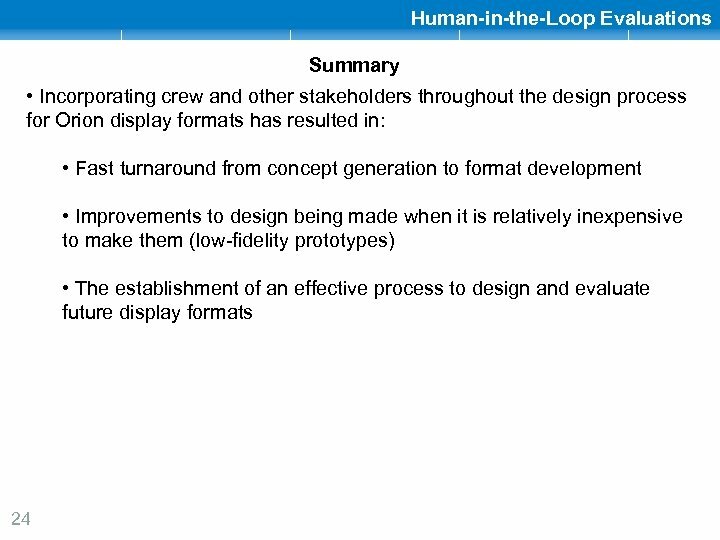 Evaluation • User Needs/Task Analysis – • Design – • Usability testing Ergonomics evaluation Human in the loop evaluation Leverage Field Feedback – 8 Product evaluation that compares the design against established guidelines. 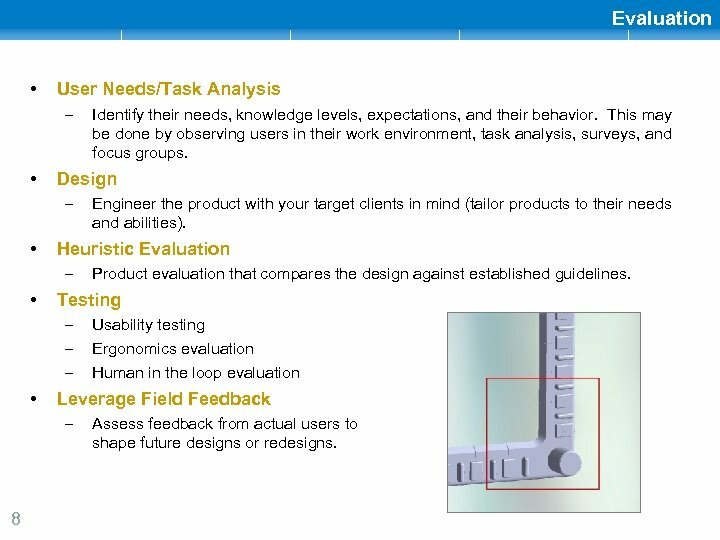 Testing – – – • Engineer the product with your target clients in mind (tailor products to their needs and abilities). 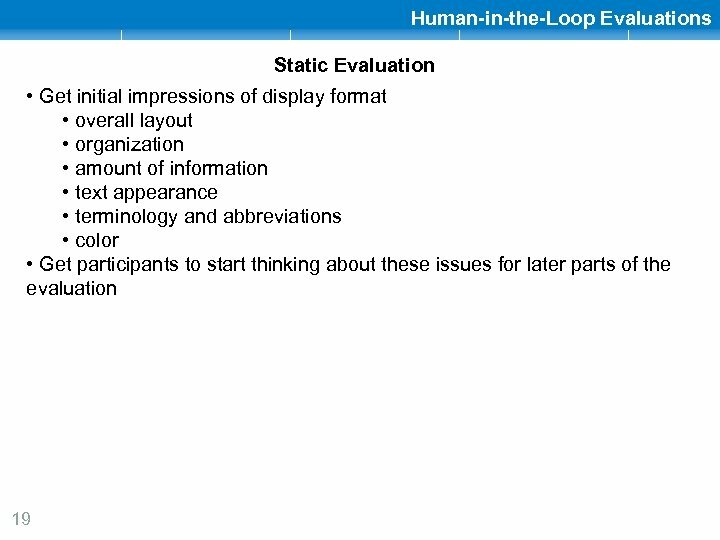 Heuristic Evaluation – • Identify their needs, knowledge levels, expectations, and their behavior. 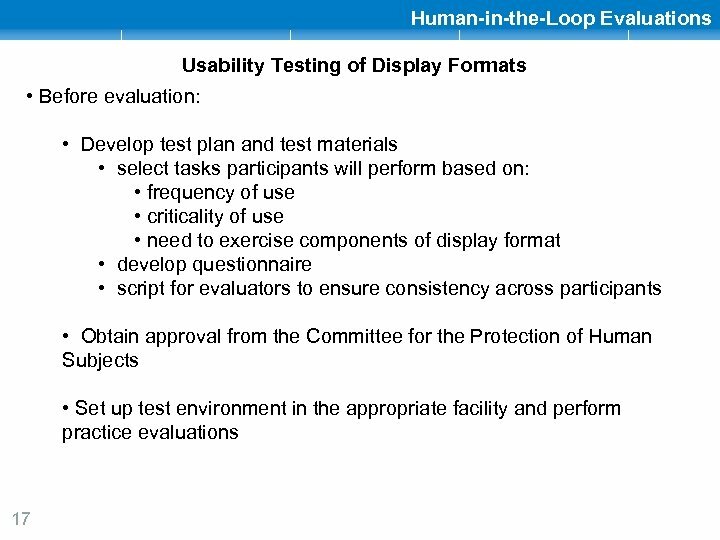 This may be done by observing users in their work environment, task analysis, surveys, and focus groups. 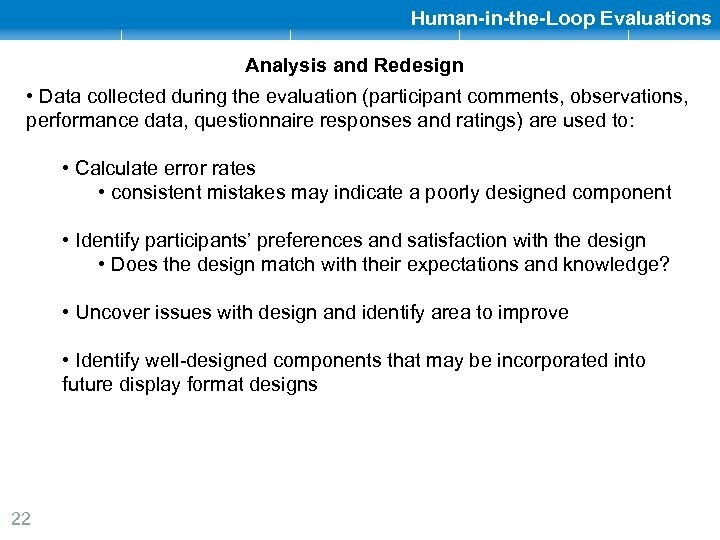 Assess feedback from actual users to shape future designs or redesigns. 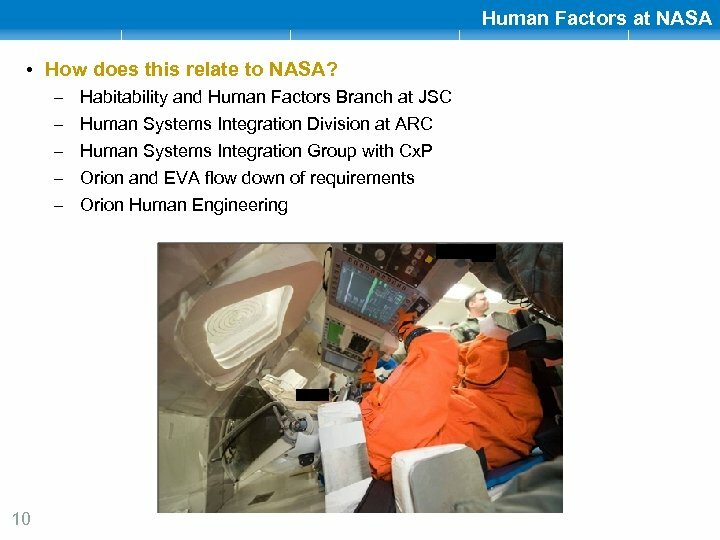 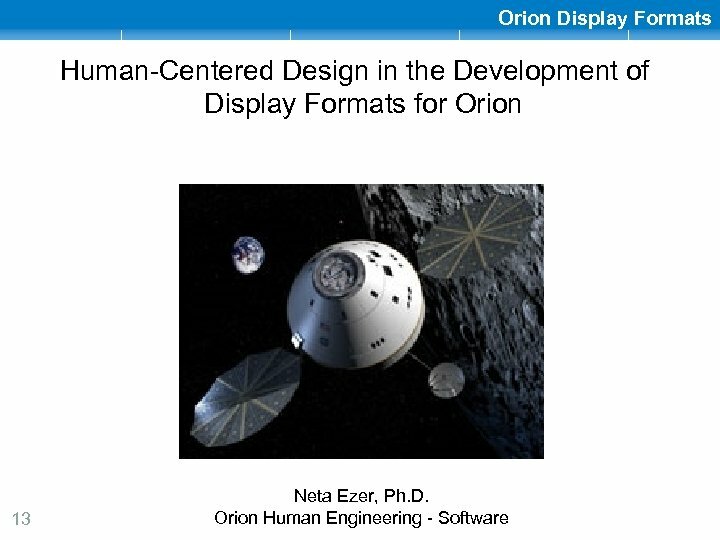 Orion Human Engineering How does Orion Human Engineering implement human factors? 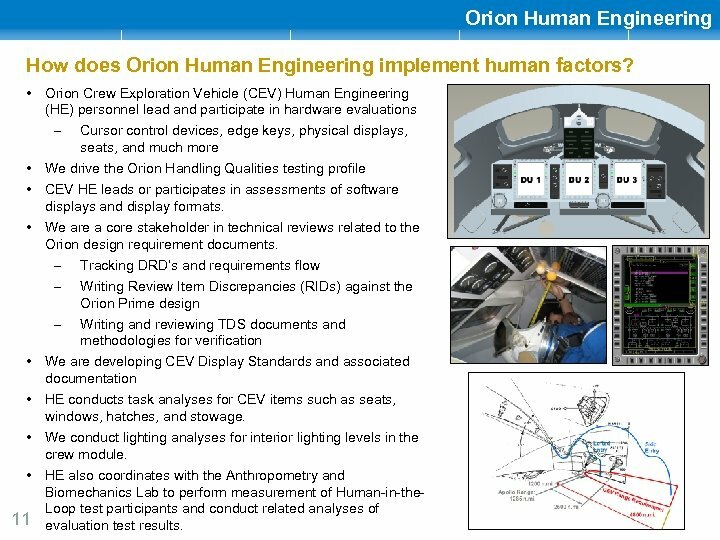 • Orion Crew Exploration Vehicle (CEV) Human Engineering (HE) personnel lead and participate in hardware evaluations – Cursor control devices, edge keys, physical displays, seats, and much more • We drive the Orion Handling Qualities testing profile • CEV HE leads or participates in assessments of software displays and display formats. 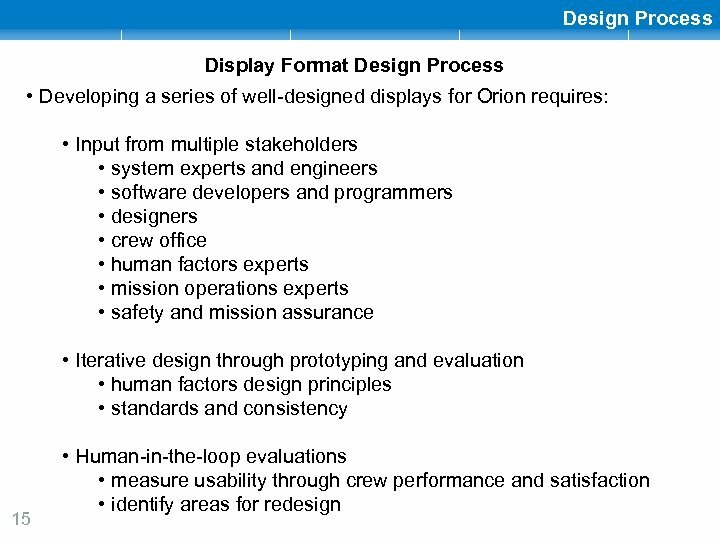 • We are a core stakeholder in technical reviews related to the Orion design requirement documents. 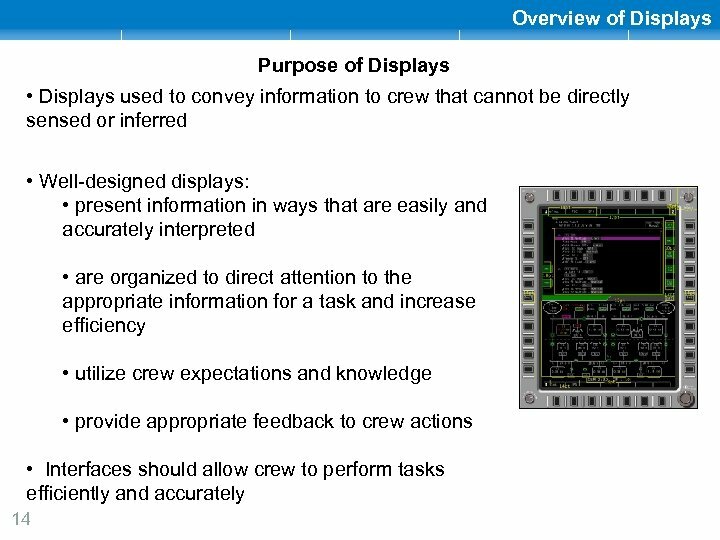 – Tracking DRD’s and requirements flow – Writing Review Item Discrepancies (RIDs) against the Orion Prime design – Writing and reviewing TDS documents and methodologies for verification • We are developing CEV Display Standards and associated documentation • HE conducts task analyses for CEV items such as seats, windows, hatches, and stowage. 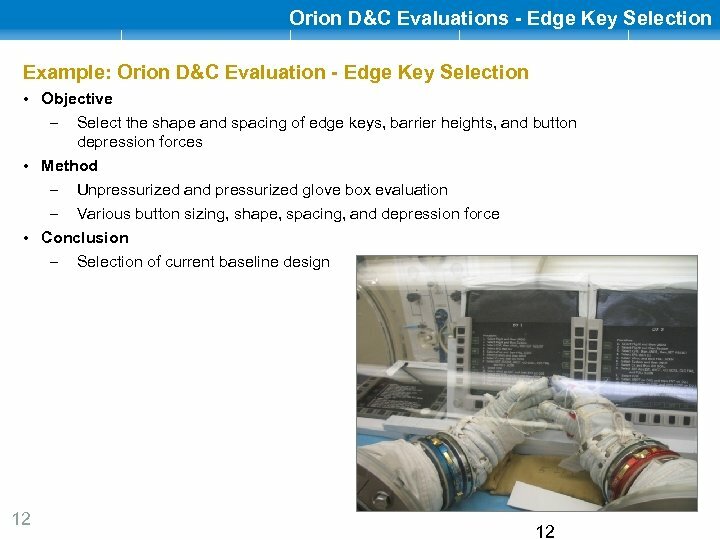 • We conduct lighting analyses for interior lighting levels in the crew module. 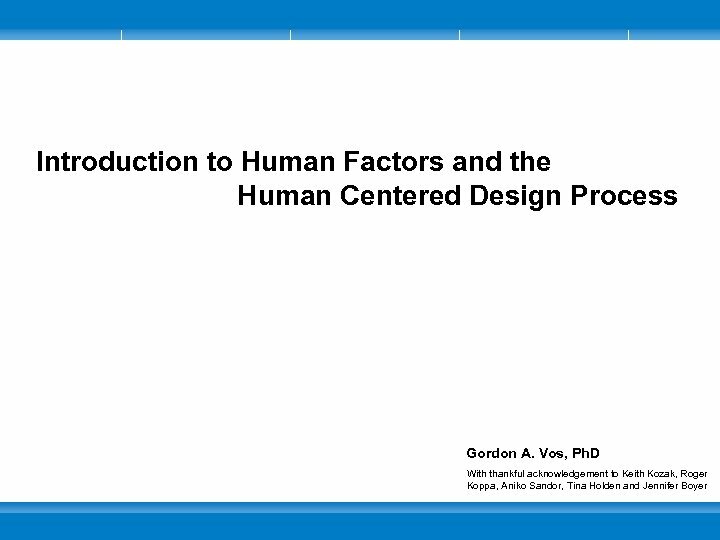 • HE also coordinates with the Anthropometry and Biomechanics Lab to perform measurement of Human-in-the. 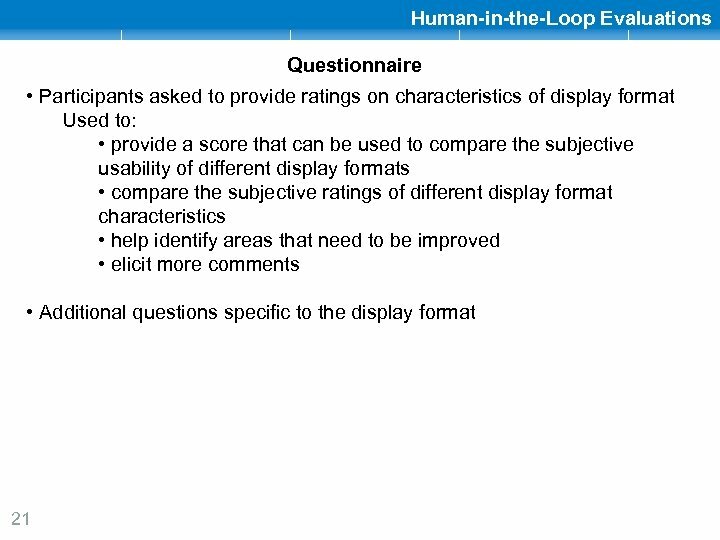 Loop test participants and conduct related analyses of 11 evaluation test results.